Okay, enough snark, let me be serious for the rest of the post. I know that Kentucky is a state awash in Christian fundamentalism, along with all the things that go along with that – such as young-earth creationism (YEC). This is evidenced by the fact that Kentucky is host to the Creation Museum, which is devoted to advancing the “reality” of YEC as viewed by the Biblical interpretation put forth by Answers In Genesis (such as that humans & dinosaurs lived at the same time – yeah, like in “The Flintstones”!). 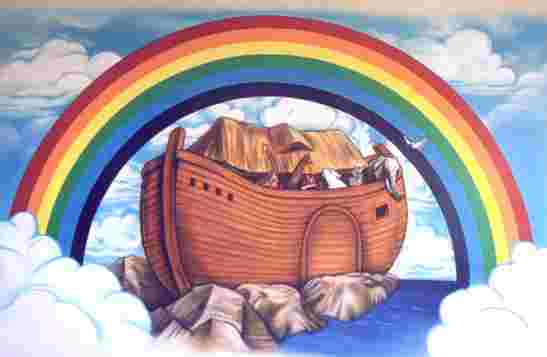 So this is fertile ground for creationism & all the associated pseudoscience that goes along with it, and the people behind the Noah’s Ark project know it. In this post, I’m not going to argue that creationism is bad science, non-science, or just plain pseudoscience, though it clearly is all of those. Rather, I’m going to argue that – despite the claims by KY Gov. Steve Beshear to the contrary – establishing Kentucky as a state known for harboring & encouraging non-science is actually a bad thing economically for the Commonwealth. … Despite some progress in economic development, Kentucky continues to use tax incentives in pursuit of mostly low-paying, part-time seasonal jobs that would further lower the state’s average wage and do little to increase the demand of higher education. This is similar to past shortsighted subsidies of chicken processing plants and customer call centers. We understand that even low-paying jobs are welcome while rebounding from a recession and heading into an election year. But these incentives could have been awarded without Gov. Steve Beshear’s public embrace of an expansion of the Creation Museum — a project rooted in outright opposition to science. I have to agree with this criticism. The fact of the matter is that if the Commonwealth of Kentucky wants to make good long-term economic development decisions, they need to foster an environment which encourages higher-paying jobs, a college & university-educated workforce, and – yes – an acceptance of & investment in science. After all, modern science – evolution included – has yielded a host of technologies & economic development which has improved the standard of living for all of us drastically in the last couple of centuries. Whereas creationist pseudoscience seems to be only good for producing reality-challenged theme parks that provide crummy jobs and encourages ignorance of science. The bottom line is this, folks: real science & its associated discoveries, including evolution, creates new technologies which drives the economy, creating higher paying jobs, a better cost of living, and a more educated workforce. If you want to do right by the economy, especially in the long term, encourage science & science education and invest in scientific research. If the state of Kentucky continues on this path, then they shouldn’t be surprised when more lucrative, science-oriented companies & institutions look to base their operations elsewhere, taking the good jobs with them. Too bad this lesson seems to be lost on Kentucky’s political leaders; they seem to be stuck on appeasing religious fundamentalists as a way of winning votes. Too bad that won’t help solve the actual economic problem. There are a lot of people in the political class talking about the need for education reform. In fact, being a teacher of over 15 years myself, I can definitely say that on the science & mathematics side of things we need to get our butts in gear or we are in serious trouble. So, I’m all for “education reform”, but I am concerned that many who wish to make necessary changes to our primary & secondary public educational system could be pursuing ineffective solutions or even make things worse. 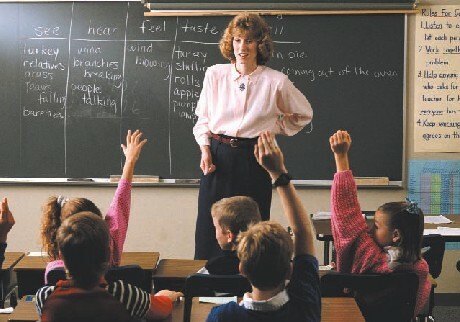 For example, one of the buzz phrases going around in many education circles these days is “merit pay.” The whole idea of merit pay is that you tie the salaries of teachers to the performance of their students, either by assessing how much kids have learned via their grades or on standardized tests. At first blush, this sounds like a great idea – the really good, energetic, and inspiring teachers get paid more and the lazy slugs get paid less. Meanwhile, it gives other teachers an incentive to become more involved & innovative in the classroom so that – the logic goes – they get the students to learn more. Offering big bonuses to teachers failed to raise students’ test scores in a three-year study released Tuesday that calls into question the Obama administration’s push for merit pay to improve education. The study, conducted in the metropolitan Nashville school system by Vanderbilt University’s National Center on Performance Incentives, was described by the researchers as the nation’s first scientifically rigorous look at merit pay for teachers. It found that students whose teachers were offered bonuses of up to $15,000 a year for improved test scores registered the same gains on standardized exams as those whose teachers were given no such incentives. As I said before, I’m all for reforming education & getting bad teachers out of the profession (we need it), but we cannot simply get hung up on the latest fad to come along (and if you’ve been in education in the U.S. for any length of time, you know that such fads are a common occurrence). In that sense, this research serves as a cautionary tale. And, in my opinion, we cannot expect to find one solution that will fit all of the problems in our public education system which varies so widely in terms of socio-economic conditions, ethnicity, culture, etc. We are going to have to probably find local solutions & local reforms to the specific problems of local schools – which means our education reformers should avoid the temptation to simply jump onto the merit pay bandwagon because it promises to fix everything. Solutions to such complex societal problems are not so easy. Well, in a turnabout which rings of truth being stranger than fiction, Bjorn Lomborg is now changing his mind on the issue: he now states publicly, in a new book coming out later this month, that human-induced global warming is “undoubtedly one of the chief concerns facing the world today” and “a challenge humanity must confront”. In fact, he is even proposing a multi-billion dollar international fund to tackle the problem directly! The world’s most high-profile climate change sceptic is to declare that global warming is “undoubtedly one of the chief concerns facing the world today” and “a challenge humanity must confront”, in an apparent U-turn that will give a huge boost to the embattled environmental lobby. 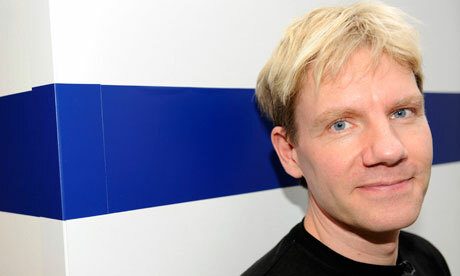 Bjørn Lomborg, the self-styled “sceptical environmentalist” once compared to Adolf Hitler by the UN’s climate chief, is famous for attacking climate scientists, campaigners, the media and others for exaggerating the rate of global warming and its effects on humans, and the costly waste of policies to stop the problem. Like many of you, I have been hearing all summer long that we should all be boycotting BP gas stations in protest of their handling of the Gulf of Mexico oil spill. Now, while I am definitely one to get up in arms about corporate incompetence & malfeasance – especially regarding environmental issues – I have to say that I think this whole “boycott BP” meme is a really stupid idea. Despite the “oil crisis” in the 1970’s, the catastrophic Exxon Valdez oil spill in 1989, and two oil-related Gulf wars, we continue to choose convenient self-delusion over logical, intelligent, honest and actionable thought. We Americans prefer the illusion of environmental action to any path that might require us to modify, even slightly, our own oil-dependent lifestyles. There’s no better illustration of this misguided thinking than the boycott of BP service stations. Despite the obvious inanity of this non-solution, the Boycott BP Facebook page has nearly 700,000 fans. BP franchise owners have become convenient, local scapegoats. They’ve had oil-soaked animal carcasses chucked on their doorsteps, and had to withstand protests, vandalism, verbal abuse and sales declines… but to what end? The 11,000 BP-branded gas stations in the U.S. are owned by independent franchisees – not BP. BP makes a tiny portion of its profits from retail gas sales, and can simply sell excess fuel inventory to other retailers… like the one boycotters are burning an extra gallon of unleaded to patronize. Bottom line: Your boycott won’t hurt BP. Boycotting BP gas isn’t as easy as you think. Even if you fill up at Joe’s Mini-Market instead of a BP station, you may still be buying BP-refined gas. BP, like other oil companies, sells “unbranded” gasoline to a wide variety of local gasoline retailers. Bottom line: Even if you bypass BP stations, odds are you’re still buying BP products. Think your boycott is anti-big-business? Think again. BP franchisees are small business owners with the misfortune of being locked in to franchise & fuel purchase agreements with the corporate giant. Some even chose BP because of its alleged corporate responsibility. Bottom line: Depriving BP stations of your gas/cigarette/green tea purchases isn’t an attack on big business, it’s an assault on small to medium-size employers. BP franchisees are small business owners. They are employers, taxpayers, homeowners & community members. They write paychecks to local citizens, pay local taxes, purchase good & services from other businesses and draw traffic to the local area and nearby businesses. What if your boycott is successful? Is a vacant lot, boarded windows, and a longer line at the unemployment office your idea of success? Bottom line: You’ll hurt your neighbors more than BP with this boycott. No catastrophe is so devastating that attention-starved celebrities won’t exploit it for their own financial gain. To promote its upcoming album release, rock band Korn is exploiting the BP Boycott with a publicity push so inane it borders on self-parody. Korn’s enlisted fellow 2D media hoors like Lady GaGa (pictured left) & The Backstreet Boys to take the bold step of filling their gas-guzzling tour buses at non-BP stations. Bottom line: You’ll help the environment more by boycotting Korn, Lady GaGa & The Backstreet Boys. Demand that they cancel their energy-sucking, oil-wasting tours altogether. Bottom line: Boycotting BP completely is pretty much impossible. All you can do is pretend you’re boycotting BP. 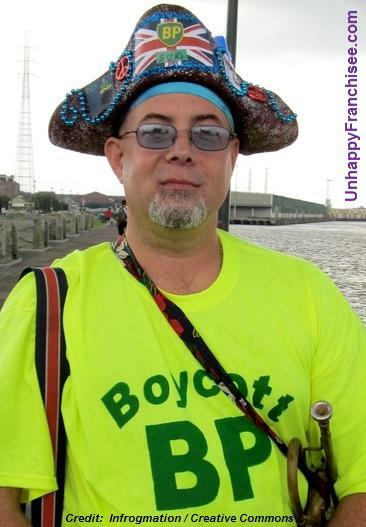 Speaking of self-delusion, behold the picture of the fun, jolly guy who’s put more thought into making his pirate hat than thinking through the impact (or lack thereof) of the boycott he’s promoting. The fact that he feels he’s taking meaningful action by promoting a counterproductive boycott keeps him from putting his time and energy into endeavors that might actually have a positive impact. Bottom line: Feel-good boycotts divert time and energy from activities that might yield real, positive results. We want BP to spend lots & lots of money cleaning up the catastrophe in the Gulf, right? We want BP to continue to spend lots & lots of money for years to come, right? So where is the logic in trying to diminish the revenue they’ll have available to put into clean-up efforts? Where is the logic in diverting our gas dollars to competitors that are not being required to put a portion of those dollars into cleaning the gulf? Bottom line: Cutting off BP revenue threatens its ability to finance aggressive and long-term cleanup efforts in the Gulf. So if you are going to award your business to a more worthy oil company, which pillar of ecological responsibility will it be? ExxonMobil? ConocoPhillips? Citgo? Chevron? Valero (Diamond Shamrock)? QuickCo? Sunoco? How about Shell? Can you name an oil company you feel good about? Maybe that’s why neither the Sierra Club, Greenpeace nor UnhappyFranchisee.com backs the boycott. BP & 32 other companies are drilling deepwater wells in the Gulf for a simple reason: to keep up with the demand created by you, me and our fellow oil-addicted Americans. We’re consuming 800 million gallons of petroleum per week, and 25% of the world’s oil. Will switching gas brands change that? Bottom line: Let’s stop doing things that make us FEEL LIKE we’re taking action, and actually TAKE ACTION. We’re a smart, educated nation but let’s face it: the public puts more energy into choosing the next American Idol than addressing our energy addiction. Let’s demand more fuel efficient automobiles. Let’s demand greener energy practices for both individuals and businesses. Let’s replace any governmental watchdog agency that’s laying down with the dogs they’re supposed to be watching. Let’s actually develop and use the alternative sources we’ve been talking about for 30 years. Most of all, let’s boycott our own stupidity. Boycott laziness. Boycott apathy. Boycott convenient self-delusion. Let’s start by boycotting the moronic BP Boycott, and stop using phony environmental activism to attack innocent business owners. Todd Wood, a young earth creationist at Bryan College, provides summary data on YEC organizations’ finances over the 2003-2008 period. There are several interesting things about those data. First, as Wood points out, AIG’s share of the creationist dollar grew over that period, from 61.6% ($9M) of the market in 2003 to 68.2% ($22.7M) in 2008. AIG’s growth in market share came at the expense of all the other YEC organizations, with the Institute for Creation Research (ICR) and and the Creation Research Society (CRS), the two elder U.S. creationist organizations, contributing most of the change. While ICR’s revenues also increased over those years, from $4,5M to $8.7M, as a percentage of the total creationist dollar it decreased from 30.6% to 26.2% and CRS’s percentage declined from 1.7% to 1.0% as its dollar revenues declined from $250K to $230K. The smaller YEC organizations also lost share. 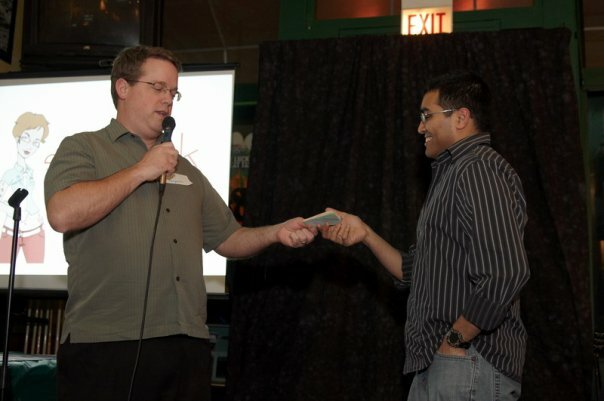 Second, Eric Hovind, offspring of jailed tax evader Kent Hovind, entered the list in third place in 2008 with his “GodQuest” (DBA Creation Science Evangelism) at $930K for 2.8% of the creationism market, far behind ICR’s $8.7M but well ahead of CRS’s $230K. Third (and pretty depressing to see), NCSE’s gross revenue as a percentage of AIG’s gross revenue has steadily declined over those years, dropping from 7.8% in 2003 to just 5.7% in 2008. In 2008, 85% of NCSE’s revenues ($1.1M of $1.3M) came from direct public support–memberships and donations from you and me. While the amount has increased in absolute terms over those years, as a proportion of creationist revenues it has dropped significantly. C’mon, people. Let’s put our money where our mouths are. Amazing Skeptical Smackdown of Homeopathy! **Note: For more background on this topic, see previous posts Psychic Failure in Investment Scams and Psychic Parasites. Notice, in the reporting there was not one hint of skepticism about these self-proclaimed psychics and their woo. Even worse, there was a hint of argument from popularity in that report where the reporter stated that in these tough economic times even more and more people are going to psychics for advice – with the implication that if more people are doing it, then there must be something to it. Save your money, folks. Whether or not they truly believe in their powers, psychics are just pseudoscientific woo-mongers… this phenomenon is nothing more than a mixture of cold reading by the psychic & wishful thinking on the part of the person seeking advice (and sometimes by the psychic themselves). I wanted to pass along an excellent article from Joe Nickell, skeptical investigator for the Center For Inquiry, concerning a recently revealed Ponzi scheme and the role that psychics played in it. In an earlier post, called Psychic Parasites, I outlined how many psychics are playing off people’s fears in these tough economic times, and Nickell’s article shows very nicely why this is dangerous. … Gane’s other psychic [James F. Lagona] has an even longer list of claimed powers—or fantasies: He is a self-described Christian mystic, dowser, spiritualist medium, healer, tarot reader, etc., including exorcist. He also describes himself as a Bishop of the Western Rite Orthodox Catholic Church and “renowned metaphysician,” as well as a bankruptcy attorney—although the home he practiced from has suffered foreclosure and is presently boarded up. I would just ask the two alleged psychics: Couldn’t you get an inkling of what was going on? Catch a glimpse of those millions of dollars disappearing from people’s retirement funds? Feel the vibrations from the impending scandal and misfortune that you yourself were caught up in? Were your psychic colleagues at Lily Dale and elsewhere unable to warn you? Now do you understand the consequences of living in a fantasy world? Sadly, I don’t think either of these supposedly “gifted” individuals (nor their gullible believers) will even take the time to consider that their “powers” are non-existent and reside purely within their own personal fantasy lands. More’s the pity.